Valentines is all about love and it is not compulsory that you should celebrate it with your partner only; you can also celebrate it with those people who are really mean a lot in your life. For the Rugs and Beyond, their weavers are the family and they are very special for Rugs and Beyond team. Rugs and Beyond celebrates the Valentines with their weavers by organizing seminars providing gifts and donate money for their children education. They believe that Valentine’s Day is a day when you can give a smile on anyone’s face and that’s why they go there and celebrate this special day with their lovable weavers. Add a cozy touch to your floor by placing this large area wool rug. 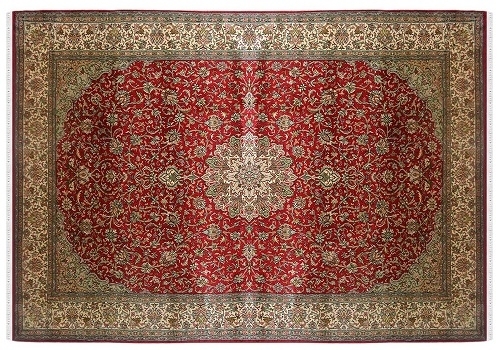 This carpet contains a Hamadan Design pattern which is beautifully modified in central medallion. 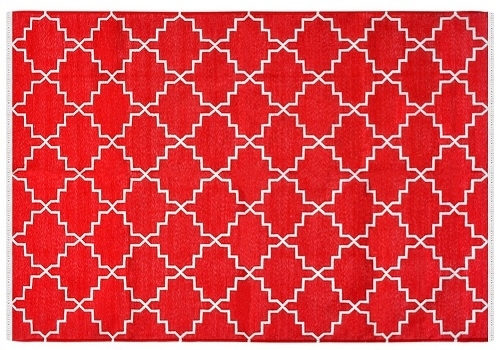 The ground of this wool carpet is in red color and contains a diamond pattern. The diamond pattern is filled with a curving floral pattern and the remaining part of the rug contains Hamadan (Box pattern) design. Hamadan design contains multi-colors. It is a stunning woolen carpet and very ideal for Valentine’s Day. This carpet is ideal for a low traffic area and a high traffic area as well. Do you want to give a luxury look to your place? 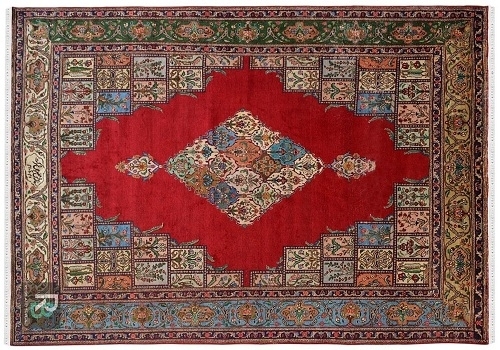 Buy this “One of a kind” and the most beautiful handmade carpet which is made in pure silk on silk material. The warp and weft both are in pure silk. This carpet contains a medallion pattern in the center in gold color. The ground is in red color with gold tiny pattern. The border is in ivory color. It contains approx. 576 knots per square inch. This is the finest quality rug and carpet from Rugs and Beyond silk rug collection. Are you facing some financial issue but want to take a rug for Valentine? Shop this beautiful handmade dhurrie which is the best substitute for red carpet and available at cheaper price. This dhurrie is made in pure cotton using flat-woven technique. It does not contain piles and knots and that’s why is it very thin. The ground of this cotton dhurrie is in red color and design is in white. It contains a geometrical pattern which is called zanjeer. You can use it for a modern décor as well as for traditional décor. This is a reversible and a highly durable dhurrie and carpet.